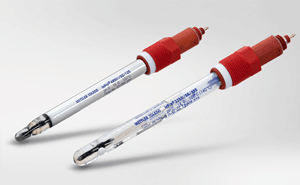 In-line pH measurement is well established in fermentation and other biochemical processes. But in the chemical industries it is viewed with misgivings. 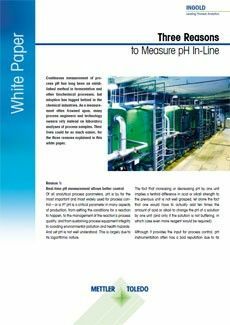 This white paper explores why these doubts exist and how, with modern in-line pH measurement technology, they can be forgotten. The purpose of pH measurement is to control processes. For correct control, measurements therefore have to be accurate. A pH measurement that is higher than the true, desired measurement by only one unit, can initiate the feeding of large quantities of expensive chemicals to correct it. This represents a high cost in unnecessary expenditure, can lower product quality, and even damage process equipment. Yet, measuring pH of a sample in a laboratory carries this very risk. 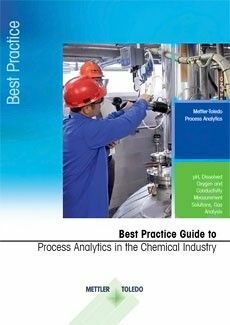 This white paper for the chemical industry looks at the dangers inherent in relying on measuring the pH of samples and explains why in-line pH measurement can provide an efficient and reliable path to process control. The prime reason lab measurements of pH are problematic, relates to sample temperature. Samples taken from hot processes may not be measured for an hour or more, by which time they will have cooled substantially. For accurate pH measurement, the temperature in the process must be known, as the output from a pH sensor changes with both pH and temperature. It is for this reason that good in-line pH sensors include a temperature sensor. This is the reason why the in-line pH measurement and the sample pH measurement often differ. The in-line pH measurement is often the one viewed as being at fault, even though the problem lies with the cooled sample. The white paper also looks at modern developments in pH sensors that extend sensor lifetime and reduce maintenance. 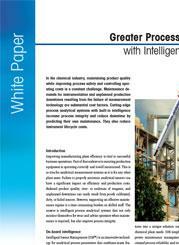 Download the white paper to find three reasons why in-line pH measurement is the best route to process control.